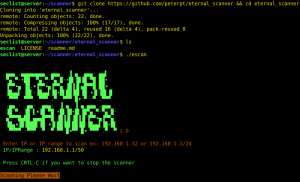 Browse: Home / eternal scanner – An internet scanner for exploits CVE-2017-0144 (Eternal Blue). 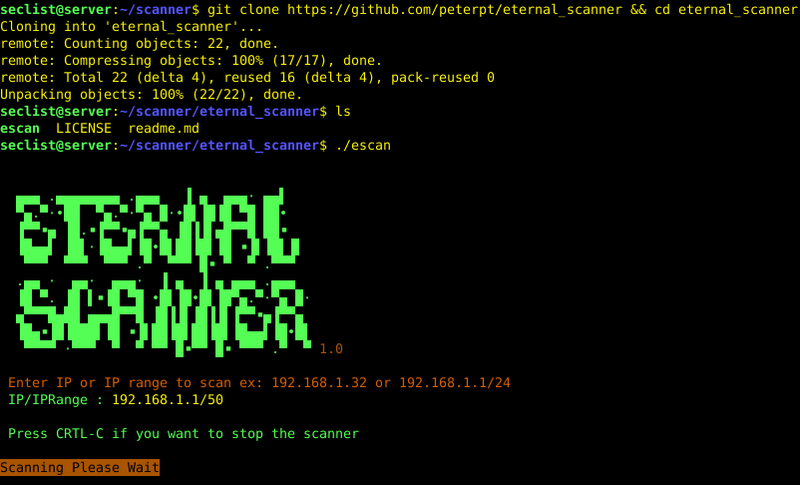 Eternal scanner is an network scanner for Eternal Blue exploit CVE-2017-0144. The SMBv1 server in Microsoft Windows Vista SP2; Windows Server 2008 SP2 and R2 SP1; Windows 7 SP1; Windows 8.1; Windows Server 2012 Gold and R2; Windows RT 8.1; and Windows 10 Gold, 1511, and 1607; and Windows Server 2016 allows remote attackers to execute arbitrary code via crafted packets, aka “Windows SMB Remote Code Execution Vulnerability.” This vulnerability is different from those described in CVE-2017-0143, CVE-2017-0145, CVE-2017-0146, and CVE-2017-0148. 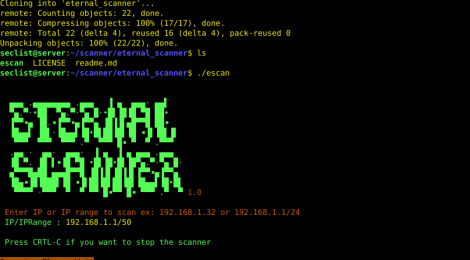 ← Toucan is a Wireless Intrusion Detection System.